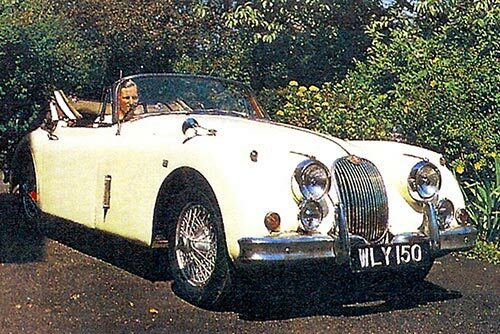 A gorgeous 1959 Jaguar XK150 Drophead Coupé, with connections to the Profumo affair, one of the most famous British political scandals of all time, is offered for auction in Silverstone Auctions’ sale at Race Retro on the 22nd and 23rd of February. 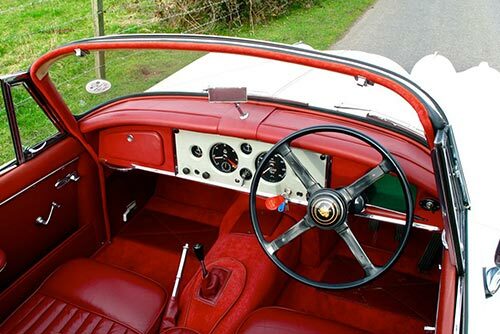 The car was owned by Dr Stephen Ward, the osteopathic physician who was at the centre of the Profumo Affair in 1963. Ward was the man who introduced John Profumo, Conservative MP and Secretary of State for War, to longstanding friend, model and showgirl Christine Keeler, who at the time was also allegedly in a relationship with Soviet spy Yevgeny Ivanov. As well as the amazing history, WLY 150 is finished in the lovely colour combination of Old English White with dark red leather interior. Benefitting from a ground up restoration in 1990 by Dorset based marque experts Marina Garage, both the interior and bodywork are in superb condition, having only covered 9,500 miles since. The sale of the car comes amidst heightened interest in the scandal, which marked its 50th anniversary last year, as well as for calls for Ward’s conviction to be overturned.